The quality of the doctorate is an important issue for PNN. The Dutch doctorate trajectory and the Dutch theses are internationally famous for their quality. Therefore, PNN actively tries to maintain its quality and to improve it even further. After an earlier survey in 2005, PNN in collaboration with The Rathenau Institute conducted a national survey among 2700 PhD candidates. Questions regarding different aspects like quality of supervision, clearness of goals and career perspectives were asked. The results of the survey were published in 2014. 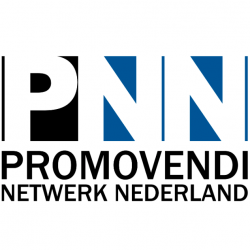 To keep track on aspects of quality of PhD trajectories on a national level, PNN maintains contact with parties like VSNU, KNAW, Inspectie van Onderwijs, Jonge Akademie and Sodola. PNN will, at the end of 2015, together with ISO (the Dutch National student’s association) start a survey on how PhD candidates are prepared in their teaching skills. Also, PNN will start up a project on the implementation of PhD psychologists, a new concept where every institute gives access to a psychologist who is specialized in the issues that PhD candidates face. Do you have more ideas on how to maintain or even improve the quality of the doctorate in the Netherlands? Shout out to us and send a mail to info@hetpnn.nl.